Search Results for "furniture store"
Shoppers in a big box furniture store. RUSSIA, SAMARA - JAN 5, 2014: Ceiling of furniture store IKEA. Aerial view. 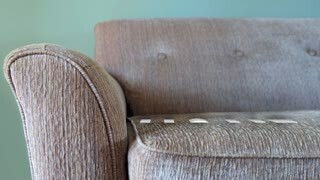 Worlds largest furniture retailer IKEA founded in Sweden in 1943. The adult young guy chooses the goods in the mall. People in-store. Shelves with goods. House hold goods. Kitchen ware. Kitchen box. Male in shopping center. Shopper indoor. Furniture store. 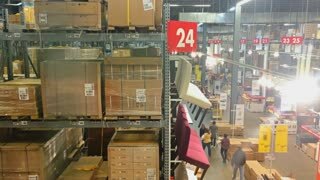 Sofia, Bulgaria - 02 MAR 2016: Fast shooting inside a huge store Furniture and supplements home decor for Ikea. Large shop for home furnishings. 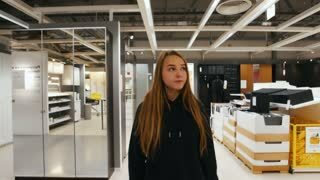 Buying new furniture in the store. Elements of decor and arrangement of housing. 1950s: Furniture store. Men sit and talk. Man smokes and gestures. 1950s: Furniture store. Men sit and speak. Man lights cigarette. 1950s: Furniture store. Men sit and speak. Man smokes. Salesman shows papers to customer. 1950s: Furniture store. Young woman completes sale at counter. Man signs paper. Men speak. Girl sits. Man pats knee. 1960s: Sign for fallout shelter. Havertys furniture store. Robert Meyer hotel. Trucks parked on city street. A man looks at the goods in the online furniture store, sitting at the desk. Computer online shopping . PC monitor showing blur feed page . The interior of a furniture store in the Netherlands.